A confidence interval is an estimate of an interval in statisticsBasic Statistics Concepts for FinanceA solid understanding of statistics is crucially important in helping us better understand finance. 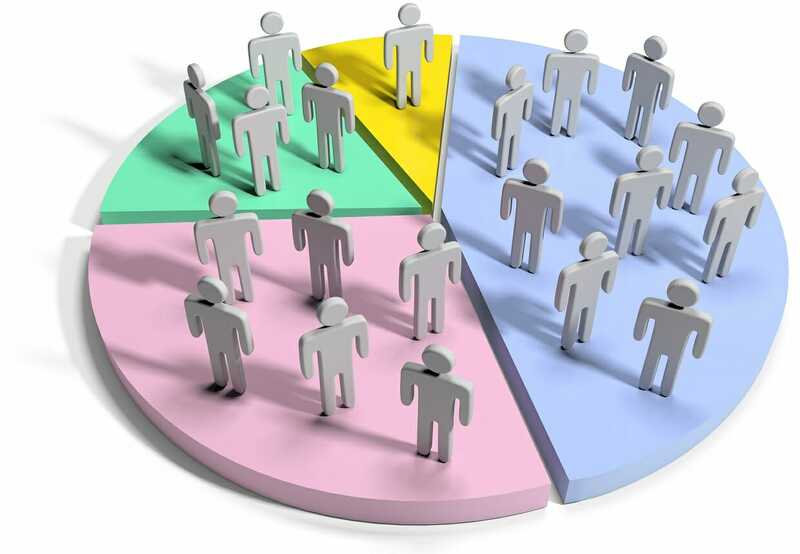 Moreover, statistics concepts can help investors monitor that may contain a population parameter. The unknown population parameter is found through a sample parameter calculated from the sampled data. For example, the population mean μ is found using the sample mean x̅. The interval is generally defined by its lower and upper bounds. The confidence interval is expressed as a percentage (the most frequently quoted percentages are 90%, 95%, and 99%). The percentage is called the confidence level. The concept of the confidence interval is very important in statistics (hypothesis testingHypothesis TestingHypothesis Testing is a method of statistical inference. It is used to test if a statement regarding a population parameter is correct. Hypothesis testing is a powerful tool for testing the power of predictions. A business owner for example might want to make a prediction of that the mean value a customer would greater) since it is used as a measure of uncertainty. The concept was introduced by Polish mathematician and statistician Jerzy Neyman in 1937. There is a 95% probability that in the future, the true value of the population parameter (e.g., mean) would fall within X [lower bound] and Y [upper bound] interval. We are 95% confident that the interval between X [lower bound] and Y [upper bound] contains the true value of the population parameter. 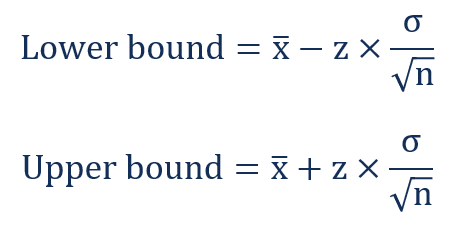 There is a 95% probability that the interval between X [lower bound] and Y [upper bound] contains the true value of the population parameter. The statement above is the most common misconception about confidence interval. After the statistical interval is calculated, the interval can only either contain the population parameter or not. Nevertheless, the intervals may vary among the samples, while the true population parameter is the same regardless of the sample. Therefore, the probability statement regarding the confidence interval can be made in the case when the confidence intervals are recalculated for the number of samples. How to Calculate the Confidence Interval? Calculate the sample mean x̅. Determine whether a population’s standard deviationStandard DeviationFrom a statistics standpoint, the standard deviation of a data set is a measure of the magnitude of deviations between values of the observations contained is known or unknown. If a population’s standard deviation is known, we can use a z-score for the corresponding confidence level. If a population’s standard deviation is unknown, we can use a t-statistic for the corresponding confidence level. Thank you for reading CFI’s explanation of a confidence interval. CFI is the official provider of the Financial Modeling and Valuation Analyst (FMVA)™FMVA™ CertificationThe Financial Modeling & Valueation Analyst (FMVA)™ accreditation is a global standard for financial analysts that covers finance, accounting, financial modeling, valuation, budgeting, forecasting, presentations, and strategy. certification program, designed to transform anyone into a world-class financial analyst.